Spent all day at ACE getting updates on the latest technology to ensure we’re keeping up with the latest technology. Managed to catch a couple of demos on fat reduction & mesotherapy! The fat reduction demo was all about ultrasonic cavitation and vacuum with RF – just as we use in Clinic with the Lynton Promax Lipo. I wanted to shout from the crowd that it’s one of our most popular treatments and our patients love it! The mesotherapy was more about skin health and showed four techniques for using mesotherapy (needling of the skin with a combination of 70 anti-aging ingredients!). 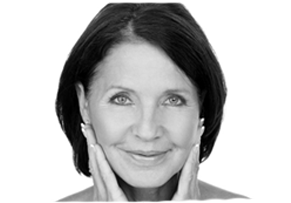 Drs Aarti, Shrivastva and Sue Irvine already use mesotherapy with hyaluronic acid but think we should definitely be offering this more as a great way to combat ageing. There were also some freaky over-done characters in the audience but I guess it was an aesthetics conference so you’re always going to get those who take it to extremes! A great day to update on what we’re doing as a Clinic. Made me feel good to know that we’ve got such a great choice for our clients. A lot of salons and clinics just don’t have half the treatments we do.